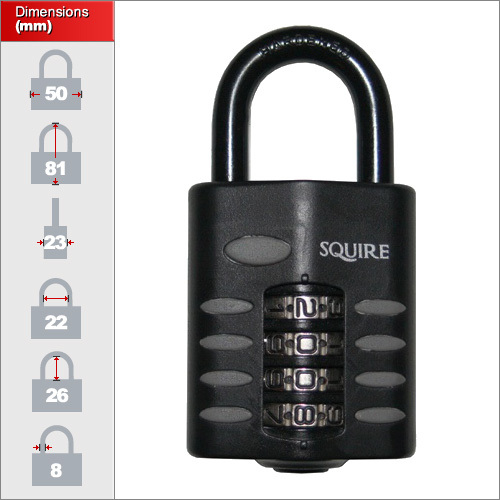 A solid combination padlock where security and convenience are required. The die cast steel body has a hardened steel shackle giving it the added protection where a smaller combination padlock would fail. 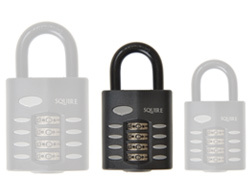 The padlock has a set of dials each containing 10 numbers which are resettable to your choice of code.The 40 and 50mm types have 4 dials and the 60mm affords additional security with 5. There are 3 sizes in this model. 40, 50 and 60mm. Please uses the product options list above to select between them. Ideal for situations where the sharing of keys could be difficult or where you need to change the code on regular intervals. Excellent for temporary storage or where the padlock is kept to secure hired objects or buildings.